Named after the outspoken Rolex authority who loved them before anyone cared, the Buckley dial is an absolute prize today. Characterized by its painted (not applied) Roman numerals, it’s a totally distinct, unmistakable rarity. And this early example, cased in solid 18k yellow gold, is remarkable. 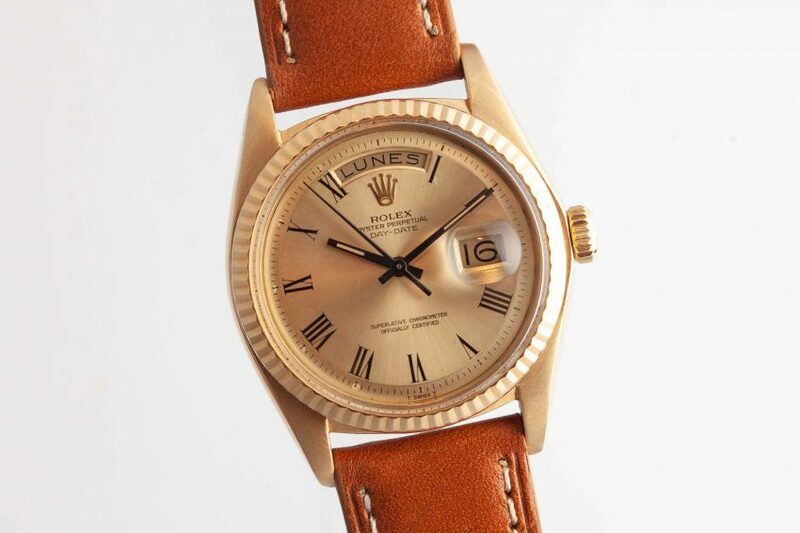 Its lugs are thick and sharp, its matte champagne dial is immaculate and its hands are factory. It’s a cornerstone of global culture and we couldn’t be more proud but to be offering it here! Dial Condition: Good condition, no blemishes. Lume plots have been cleaned from behind each our marker.